I’m a Paganucci Fellow at Tuck School of Business this summer. First let me introduce myself. 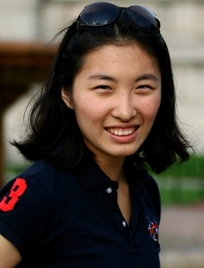 My name is Yilan Hu, and I grew up in China where my parents still live. Prior to coming to Dartmouth, I studied for five years in Singapore on a scholarship. I’m currently a rising senior with a double major in Economics and Mathematics at Dartmouth. I have developed a keen interest in development work, partly intrigued by China’s rapid economic growth and partly inspired by Singapore’s success story. The Paganucci Fellows have been working on developing scorecards of the level of financial inclusion present in several countries. I, for example, worked extensively on the scorecard for the Philippines. When I first started working on the Philippines, I was told that it has been a pioneer in mobile banking. Admittedly, mobile banking was just a catchy phrase that meant little to me back then. However, through the research I’ve done, I’ve come to truly appreciate the huge potential of mobile banking as a vehicle to expand financial access. I’m found that mobile banking can significantly alter the outlook of this country’s basic financial products, such as credit, savings, and payments. For example, the cost of inward international remittances to the Philippines is as low as 1% of the transfer amount via mobile channels compared to about 5% through regular non-bank remittance agencies. We also look at the concentration of bank branches and POS in countries to measure physical accessibility. While the Philippines does not have high bank concentration, especially in the rural areas, it does have at least 55 million mobile phone subscribers (out of a 90 million population). Mobile phones therefore present a significant outreach channel—for instance, repayment of micro-loans can be made much more convenient with use of mobile banking. Furthermore, mobile banking in the Philippines allows subscribers to bypass the minimum balance requirement to set up savings account in banks. Instead, users can deposit cash in “e-wallet” and make cashless transactions. I’m look forward to learning more about the impacts of mobile banking have on financial inclusion as the scorecards are tracked over time. As the fellowship draws to an end in two week’s time, the Paganucci Fellows will be going to Accion’s office in Boston this Friday. We all look forward to presenting our work and findings to a broader audience and hearing any feedback.